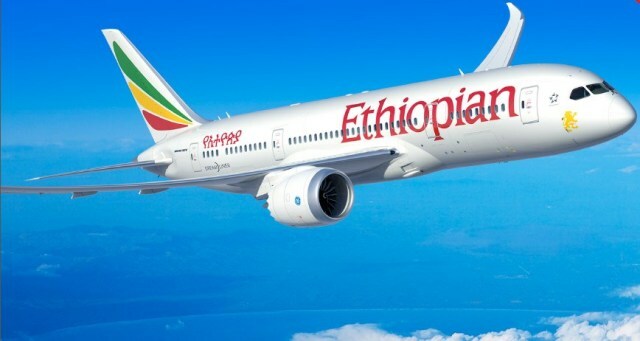 Ethiopian Airline, the largest Aviation Group in Africa and SKYTRAX Certified Four Star Global Airline, has announced that its customers worldwide will enjoy free transit tour beginning from February 1, 2019. The new complimentary city tour package organised by the airline’s ‘Holidays’, its tour operator wing, takes transiting passengers with 6 to 8 hours’ time in the running capital, Addis Ababa, on a journey through one of the landmarks of the city, The National Museum, accompanied with a taste of Ethiopian coffee and souvenir shopping at affordable prices and make them experience the unique flavors of the political capital of Africa during their brief stay. Speaking on the initiative, Group CEO of Ethiopian Airlines, Mr. Tewolde GebreMariam, said, “As travel has gone digital with our innovative technology solutions including Ethiopia Mobile App and online platforms, the huge influx of transit passengers in Addis Ababa, the world’s gateway to Africa, can enjoy personalized and end-to- end travel experience. Ethiopian Mobile App enables passengers secure their visa electronically within 4 hours from any part of the world, as well as book their flights, pay online using credit or debit cards, mobile money, e- Wallet and bank transfer, check-in and issue boarding pass seamlessly. As we continue to discover and deliver the best for our customers, we are pleased to come up with complimentary offerings to our global transiting passengers and make them savor every moment and feel the real taste of Addis Ababa during their brief stay. “While promoting Ethiopia, Land of Origins, and its beautiful capital Addis Ababa alike, as tourist destinations, we will keep promoting initiatives tailored to provide our ever growing customer with a unique and unforgettable travel experience”, he said. Ethiopian Airline is the fastest growing Airline in Africa. In its seventy plus years of operation, the airline has become one of the continent’s leading carriers, unrivalled in efficiency and operational success. It commands the lion’s share of the Pan-African passenger and cargo network operating the youngest and most modern fleet to more than 119 international passenger and cargo destinations across five continents.